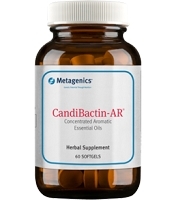 Recommended Use: As a dietary supplement, mix 30 grams (approx.two heaping scoops) in eight ounces of water or any other beverage per day, or as directed by your health care practitioner. PurePea is a natural pea protein isolate, offers a high level of functionality and nutritional benefits. 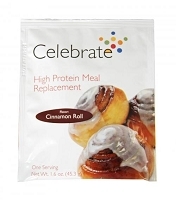 It is ideal for those who are looking for vegetarian protein and may not want dairy derived protein. PurePea is a true vegan protein which has high bioavailability and excellent digestibility.The raw materials, North American grown yellow peas, are not genetically modified (non-GMO). PurePea is extracted from these dry peas via a patented protein technology which uses no chemical solvents. PurePea has an excellent array of amino acids, including high levels of BCAAs (branched chain amino acids leucine, isoleucine, and valine). While its amino acid profile is similar to whey protein, it is particularly high in arginine, lysine, and phenylalanine. 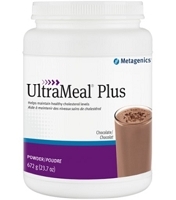 Its well-balanced profile fulfills the essential amino acid requirements outlined by the World Health Organization for adults. 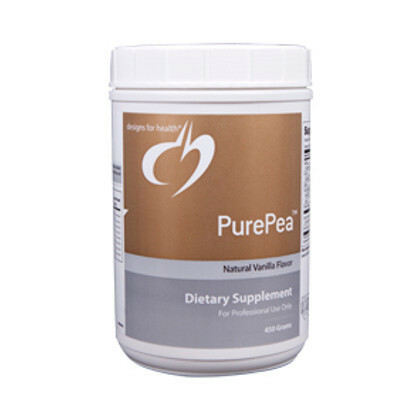 PurePea has excellent digestibility, a distinct advantage over other vegetable protein isolates, as it does not contain the commonly occurring anti-nutritional factors of other legumes (i.e., soy), mainly trypsin inhibitors, phytates, lectins, tannins, and a-galactocides. (The presence of high levels of these anti-nutritional factors can cause substantial reductions in protein digestibility.) As pea protein has ACE inhibitory activity, it may have a positive effect on the maintenance of normal blood pressure levels. It has also been shown, in rat studies, to have a positive impact on total cholesterol and very low density lipoproteins (VLDL) by stimulating bile acid formation and excretion. When compared to other vegetables, the yellow peas used in PurePea have low levels of phytosteroids (isoflavones), thus minimizing the possible estrogenic effects. PurePea is great protein source for athletes and anyone who is physically active. Due to its favorable amino acid profile and high digestibility, PurePea is an excellent choice for consumption before, during, and after exercise. Adequate intake of protein, in particular BCAAs, helps to promote muscle growth and repair, particularly after strenuous resistance training. Vanilla flavored PurePea is sweetened with the natural herb stevia and mixes easily in any beverage of choice.The pea protein in PurePea is not a major allergen, and is, therefore, a safe alternative for people with allergies to milk and milk products who must avoid casein or whey proteins, for those with lactose intolerance, and for vegetarians with soy allergies.